In 2001, high in the Sierra Norte de Oaxaca mountains of southern Mexico, UC Berkeley graduate student David Quist hiked along some of the world’s oldest cornfields. Quist was sampling cobs for DNA testing, and what he found kicked off a scientific firestorm and brought attention to a subtle threat to the future of global agriculture. 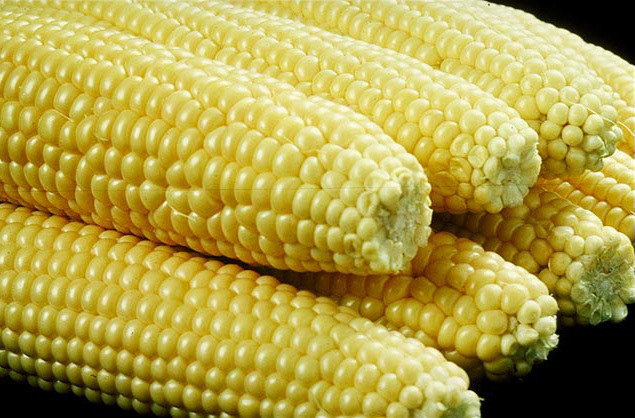 In those ancient Mexican varieties, Quist detected the DNA signature of genetically modified (GMO) corn. Hike down those Oaxacan mountains and into village marketplaces, and you will find a stunning array of corn varieties, each with its own distinctive profile of flavor, color, shape and size. These varieties, called “landraces” by breeders, develop slowly as farmers save seeds from their most desirable corn plants every year. There are corn landraces all over the world, but Mexico is corn’s “center of origin,” where the crop was originally domesticated about 9,000 years ago. Here, the seed-saving and sharing practices of traditional small farmers act to preserve the genetic diversity inherited from its wild forebear Teosinte. There are miles more where that came from! The cultural, genetic and culinary heritage of Mexican corn landraces is precious to everyone from hip chefs in Brooklyn trying to find distinctive flavors and colors, to indigenous groups trying to preserve and restore the ways of their ancestors after waves of colonialism and globalization. The variety at a Oaxacan market could not contrast more sharply with the industrial uniformity of the produce on display under the humming fluorescent lights of any modern supermarket. Even genetically diverse “heirloom” varieties at the farmer’s market pale in comparison to what you’d find at the center of origin. This lack of diversity is the legacy of the industrialization of agriculture in the mid-20th century, often called the “Green Revolution.” The adoption of industrial machines, fertilizers, and pesticides relied on high-yield, highly predictable crops suitable for mechanized, scalable farming practices. Plant geneticists and breeders like Norman Borlaug took up the call, narrowing the genetic diversity of staple crops through painstaking curation of highly inbred lines, selected for a few traits, chief among them yield. By crossing these inbred lines, Borlaug was able to create genetically identical “F1 hybrid” lines that were genetically identical, high-yielding, and, crucially, had to be bought new from the seed company each year, ending age-old seed saving practices. These new breeds of crops were called “improved” varieties, reflecting the optimism of the time. As I’ve written before, the development of GMOs was a sort of delayed corollary to the Green Revolution, though it didn’t have to be. Genetic modification introduces genes from one species into another, allowing for industry-friendly traits that couldn’t be delivered by conventional selective breeding techniques. Selection can only act on traits that exist, and traits like resistance to the herbicide glyphosate (RoundUp) just couldn’t be found in the gene pool of crops like corn. So the genes conferring these traits had to be grafted onto crop genomes from bacteria that had them. And thus GMOs were born. 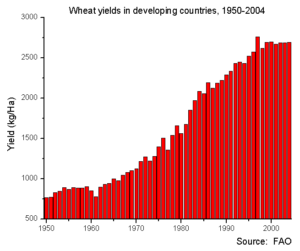 The Green Revolution was seen at the time as an unalloyed good, a triumph of technology over famine in a growing population, and a denial of Malthusian fate; Norman Borlaug won the Nobel Peace Prize for his work in 1970. Even GMOs are championed as a key tool in feeding the world, though this claim has met a harsher reception. This triumphant history has been under increasing scrutiny as the many downsides of industrial agriculture, such as the environmental and health consequences of fertilizer and pesticide runoff, take their toll. And now, as industrial agriculture has grown and spread into crop centers of origin, we now face the more subtle risk of losing genetic diversity. During the seismic shift of the Green Revolution, and the GMO aftershock, the gene pools of our staple crops were narrowed down to the high-yield, highly inbred “improved” varieties we see on the supermarket shelves, and then augmented with the foreign genes through genetic modification. In this process, genetic variants conferring a whole variety of traits, from the culinarily interesting, to the aesthetically beautiful, to the agriculturally useful, were left on the cutting room floor. These genes didn’t improve the crop yield under industrial conditions. However, the crop varieties that yield best in the time and place they are bred will not do so forever or under every condition. Eventually, they will succumb to new diseases hiding on global freighter ships, or wither as climate change shifts the basic conditions of temperature and rainfall. As that uncertain future begins to unfold, the narrow gene pool of improved varieties will not be sufficient to adapt. GMO technology may prove helpful in adapting corn to global change, but it would be foolish to overlook the massive genetic resources available the mountains and valleys of southern Mexico. 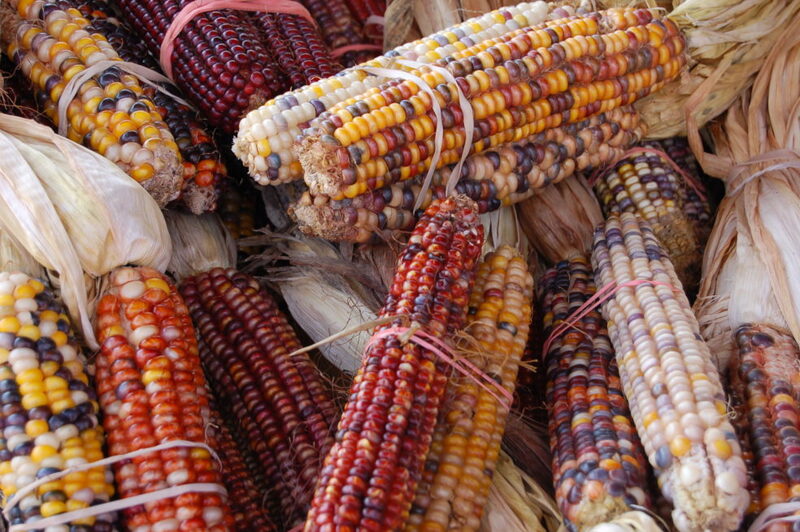 We’ll need the genetic tricks hidden in more diverse, older crop lineages like Mexican corn landraces. Tucked away in the genome of some low-yielding, unremarkable corn landrace, there might be a genetic variant that confers immune resistance to the next great corn disease. Or perhaps a particular tolerance to heat or drought, that breeders could use to adapt corn to the challenges of climate change. We live in a changing world. In the long run, diversity and adaptability will prove more valuable than curated purity. This is why plant geneticists worry when improved or GMO varieties are planted in a crop’s center of origin. For one thing, the process of larger, more industrial farms consolidating the land holding of smaller farmers and planting them with improved varieties reduces the number of farmers propagating landraces. Even if that doesn’t happen, hybridization could potentially reduce the genetic diversity in these landraces, as the narrow gene pool of the improved variety crowds out the genetic variations of the local landraces. Here, the threat may be more acute with GMOs than the improved varieties of the Green Revolution, since qualities like insect- or herbicide-resistance could potentially give them a big advantage and allow their DNA to spread through the landrace gene pool more quickly. Almost as soon as the technology to introduce genes from one species into another was invented, scientists were calling for caution and containment, to make sure that these new GMOs did not escape into the wild. The risk of GMOs spreading their recombinant DNA at the expense of crop diversity has raised major alarms in the public as well as the scientific community. It was in this context that David Quist and his advisor Dr. Ignacio Chapela published their paper about DNA from GMOs in the corn landraces of the Oaxacan mountains. The paper, published in the prestigious journal Nature, was contested back and forth at the time due to methodological issues and the political charge of the claims. But 15 years later, there is plenty of evidence that GMOs hybridize with their non-GMO counterparts. It’s important to note that so far, despite the widespread hybridization of improved and GMO varieties with local landraces, the evidence suggests that the risk to crop genetic diversity has not materialized. But that’s no guarantee for the future. There are steps that the global community is taking to mitigate the risk to crop genetic diversity, including cataloguing and storing crop varieties in seed repositories like CIMMYT or the sci-fi Global Seed Vault on the Arctic island of Svalbard. Still, Greenpeace and other groups have called for a ban on GMO crops from that crops’ center of origin. While the politics and economics of such a ban are complex and probably unworkable, the calls show the severity of the risk. In different corners of the world, our ancestors spent thousands of years identifying and domesticating the crops we rely on today. This is not only a story of Mexican maize, but also of Indian eggplants, Peruvian potatoes, and Afghani apples. The gene pools of these crops represent some of our most sophisticated agricultural technology and valuable culinary and cultural heritage. The small, traditional farmers in centers of origin have preserved this inheritance and maintained the kinds of genetic variation we might need to adapt these crops for the future. It would be a shame to lose that heritage right when we’ll need it most.